When I first found this chicken recipe on Pinterest, and I thought it looked too good to be true. Fifteen minute prep and 4 ingredients? And it's good? I had to try it, and it really was that easy and that good! Everyone - including my picky 3 year old - loves it. This is now a go-to recipe for our family! Preheat oven to 425°. Spray a 9x13 with cooking spray. 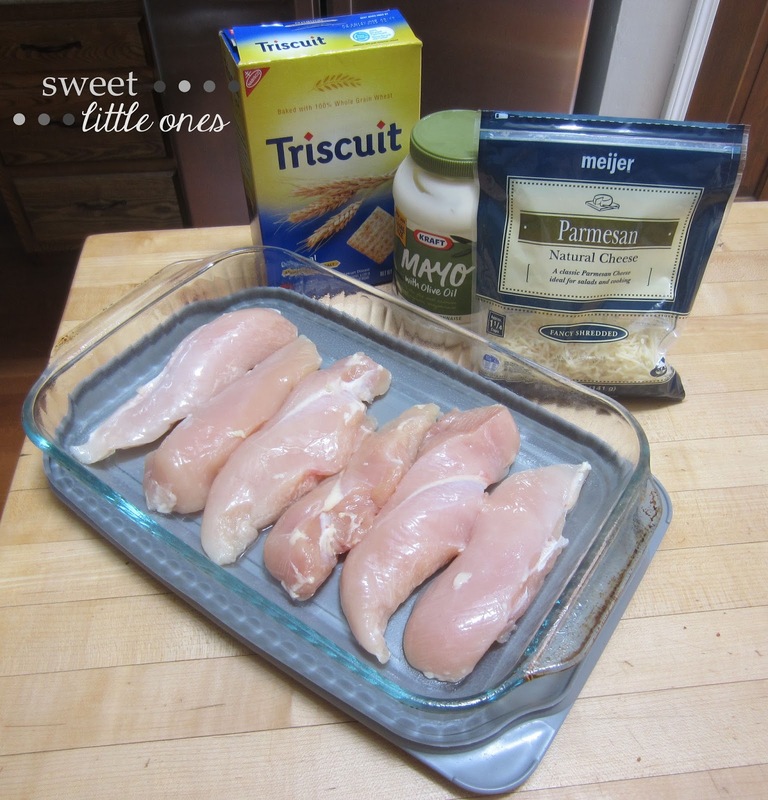 Butterfly chicken breasts so they are thinner. 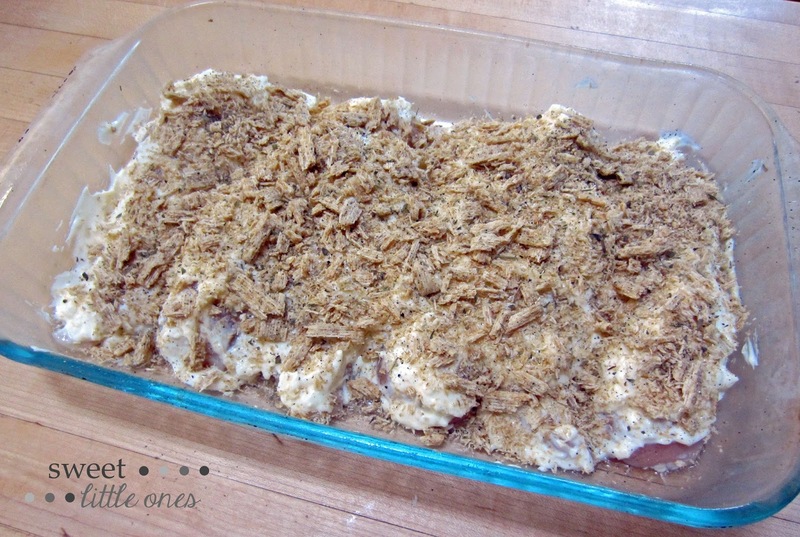 Lay chicken breasts in baking dish. Put mayo and cheese in a bowl and mix. 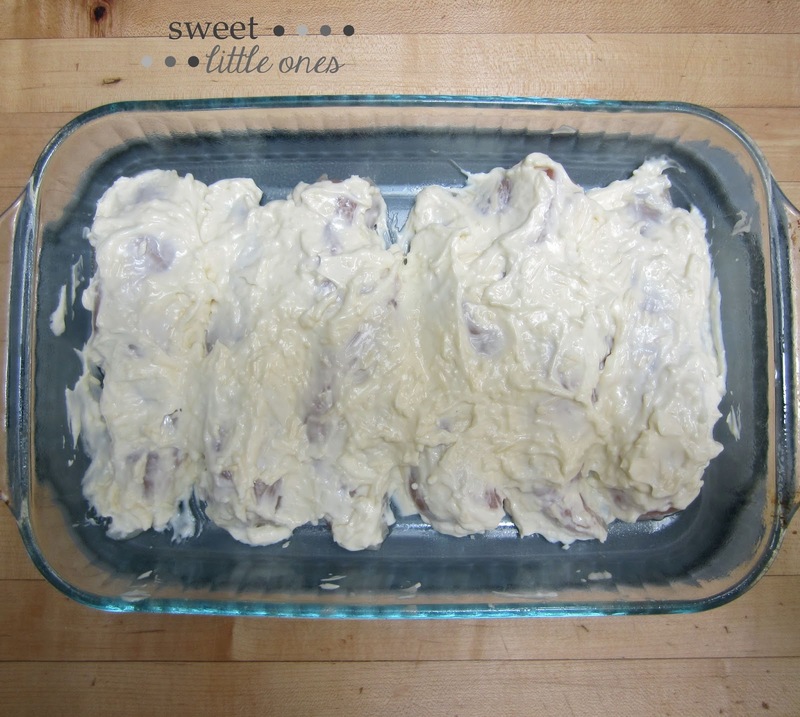 Spread mixture evenly over chicken. Sprinkle crushed Triscuits evenly on top. Bake for 20-30 minutes, until chicken is thoroughly cooked and crust has been browned to your desire. In this recipe, I doubled the mayo/cheese mixture from the original recipe because we like more "sauce". I like to sprinkle a little Italian seasoning and fresh cracked pepper over the top of the crushed Triscuits. 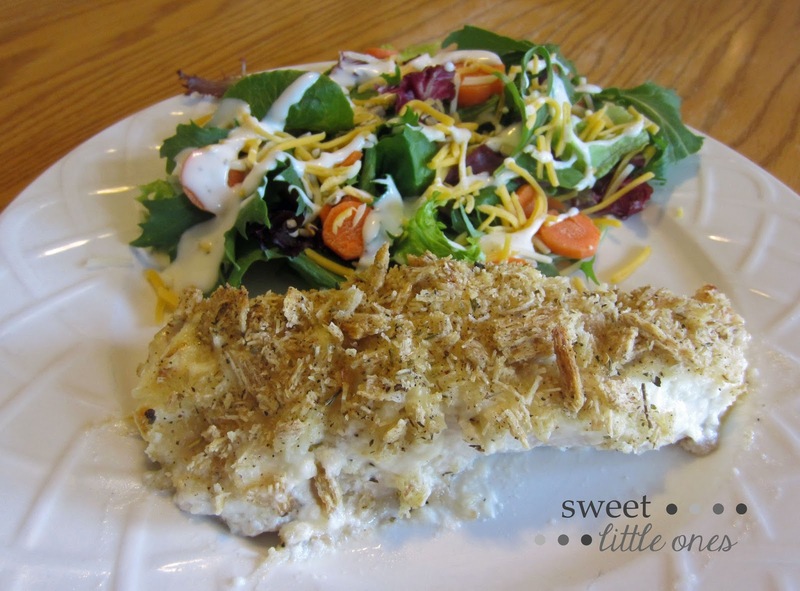 Breadcrumbs can be substituted for crushed Triscuits. I use Triscuits because I love a crunchy crust! This chicken is wonderful when served alongside - or in! - a salad. 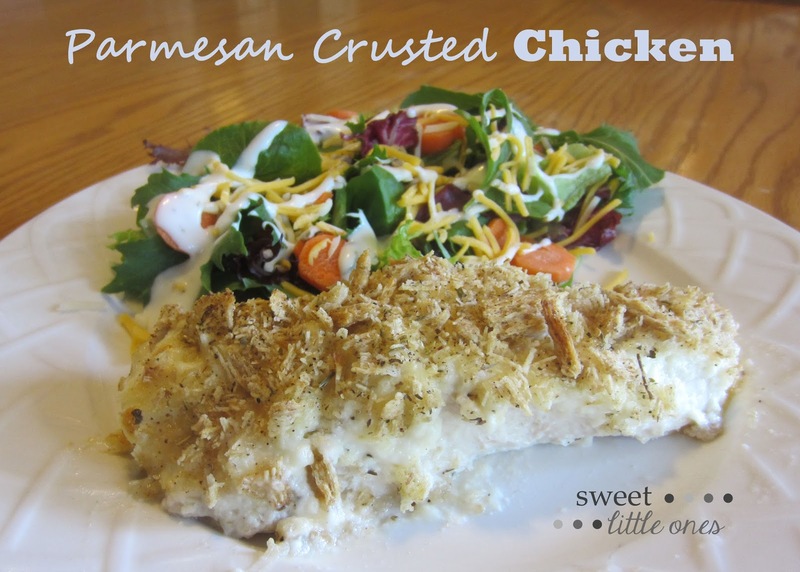 I made this easy chicken dinner for my family last night...mmmmmm, it was so delicious! I sure am looking forward to leftovers tonight! Hope your family enjoys this meal as much as ours. 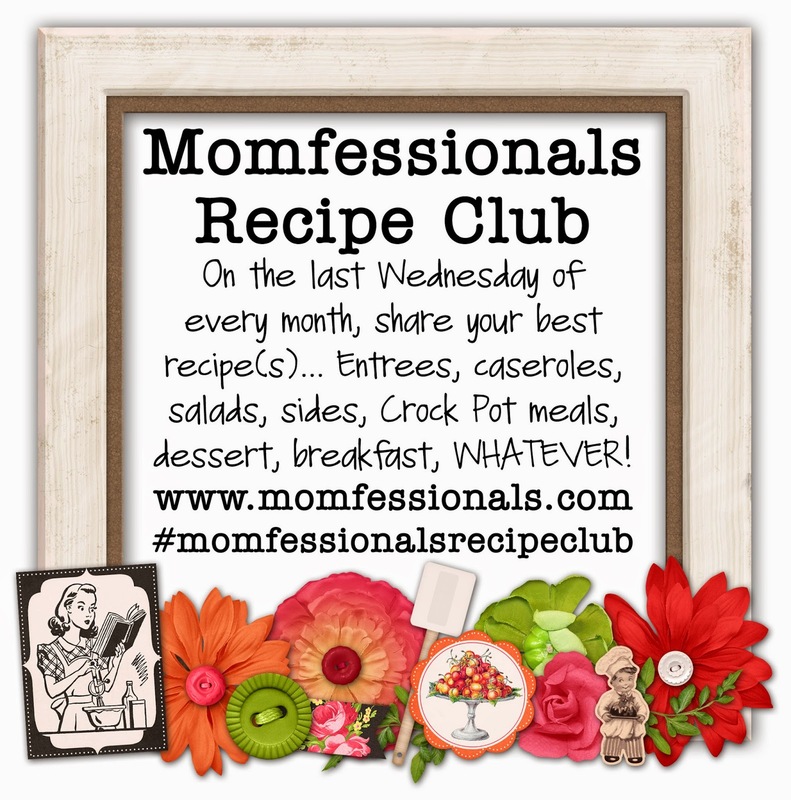 Please share your favorite recipe board from Pinterest! I'm always looking for new recipes to try. Here is our dinner board! I love easy Pinterest recipes. This one looks good!